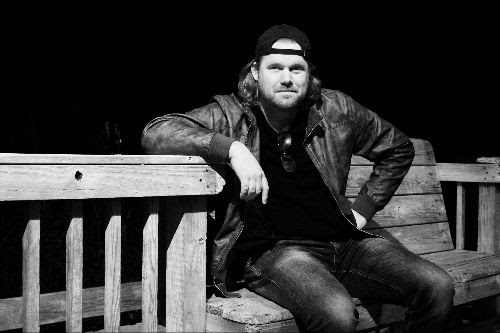 Nashville based country singer/songwriter Mark Blomsteel may have the sound and soul of this music city beaming through him, but he was born and raised in Rotterdam, The Netherlands. At an early age he was diagnosed with a genetic eye disease that would eventually leave him legally blind. His limited vision never held Mark back from chasing his dreams and pursuing his goals of becoming a singer/songwriter and awarded artist. 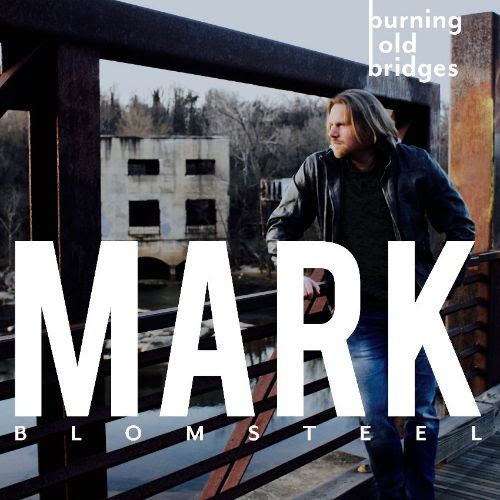 The Nashville “Dutchboy,” as the locals call him, will be releasing his new album Burning Old Bridges on April 26, 2019. This album, his first U.S. debut record, was recorded in the Treasure Isle Recorders Studio and produced by Nashville country veteran Fred Vail. The first single “Contagious” is an up tempo song, while another song “Crank It” is a country rock song. Ballads are also definitely a strong side for Blomsteel, as you can hear the pure emotion in his voice in the songs “Someone Somewhere Tonight” and “Give You Back.” His cultural background gives him a unique perspective which is evident in his work. Mark started writing songs at the age of 11 and joined his first band the following year. His next adventure was pursuing a degree at The University of Rotterdam to become a teacher. Two years into his studies, Mark decided to switch his major to media and entertainment management and earned a Bachelor’s degree. By the end of college Mark already had his own internet radio show and worked for MTV Networks. During his last year of college, he contacted British producer Paul ‘Tubbs’ Williams, of Incognito. Williams, previously worked with The Spice Girls and Boyzone, and he invited Mark to the UK after listening to his demo recordings. Together they recorded one of Mark’s original songs “Leaving it all behind.” This song would be Williams’ last work; shortly after mixing the track he sadly lost his life due to a heart attack. In 2008, music industry veteran Fred Vail, former producer of the legendary Beach Boys, came across Mark’s songs and called him to work on a couple of tracks at his Treasure Isle Recorders Studio, where artists such as Johnny Cash, Sheryl Crow and Dolly Parton recorded. Jason Aldean too has recorded all of his platinum albums at the Treasure Isle Recorders Studio. Vail brought together a team of the best studio musicians to work with Mark, including bandleader Chris Leuzinger who has performed on every Garth Brooks’ album. Previously, Mark released many albums in Europe. He continues to get rapid airplay on Dutch and European radio and has received performance spots on various Dutch and (country) festivals, which has led him to win multiple television shows. Mark has played Europe’s biggest Country Music Festival in Zurich, Switzerland, and multiple theater tours. He has been awarded Dutch CMA Song of the Year, Male Vocalist of the Year as well as Most Promising Act. The first single “Contagious” was released via M.A.R.S. Label Group on March 15, 2019 and will be followed by the release of the U.S. debut album Burning Old Bridges coming April 26, 2019.